We’ve been in the hospital for fourteen days. The kids have been away from us for forty two days. 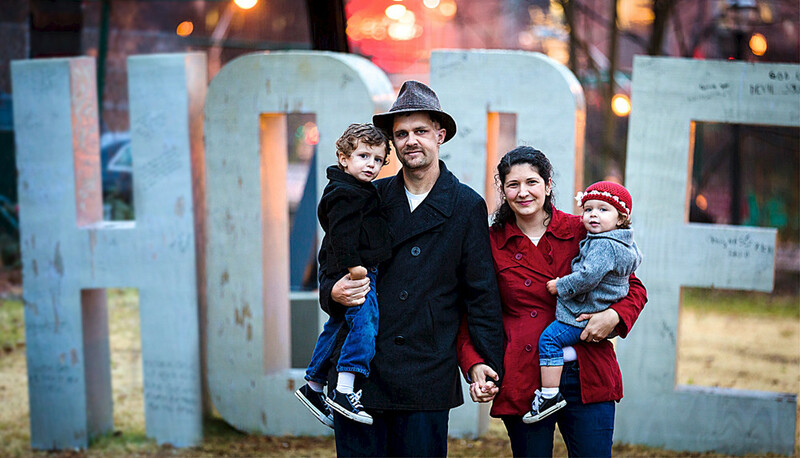 Kevin has had stage four cancer for three hundred and sixty six days. He has “officially” had cancer for six hundred and twenty two days. Our life has become a blur of days, sometimes very full ones where I am running around tending to kids, making doctor’s appointments, and calling on doctor’s bills. Those days fly by. Other days, like the last few, seem to drag on, an endless cycle of infusions, fevers, naps, and Netflix. I can hardly believe it’s been a year since Kevin recurred. I remember exactly where I was, eagerly anticipating a call from Kevin’s nurse, but being completely unprepared for the words that came out of her mouth… “The cancer has returned.” My neighbor was on her way over to run an errand with me, and as I opened the door, I burst into tears and buried myself in her arms. I sobbed and sobbed and sobbed. I cried like I hadn’t cried since this whole thing began. And when I was done, I took a deep breath, and figured out what to do next. I called Kevin and made arrangements to pick him up at work and head over to the doctor’s office for a biopsy. I made arrangements for the kids to go to my sister’s house and then my parents’. I accepted Maiya’s offer to make us dinner that night. And I started figuring out how to fundraise for the next stage of treatment. Busyness kept me sane and helped me make it through as we prepared to run into the fire. This time around though, I’m just tired. More tired than I’ve ever been in my entire life. And I’m not even the one with cancer! I haven’t had the energy to write, though I’ve had so much I want to say. I haven’t even really had the energy to sleep, if that makes any sense. Yeah, I’ll doze off in the chair-bed here and there, but I’ve been too tired to get myself up, shower, brush my teeth, really get ready for bed; to tell my body it’s time to really sleep. And all that tiredness is simply not sustainable. I’d been sleeping in the room with Kevin, even though I have a hotel room at the Safra Lodge next door to the hospital. He’s wanted me nearby, especially during the chemo, which was some of the worst chemo they dole out. And I had been happy to stay with him. I love him. I don’t know how long I’ll get to keep him around. And frankly, I wouldn’t want to be alone either. But all this exhaustion was really taking its toll on me, and a few days ago, I just broke. I started to cry and the floodgates opened up, just like they had a year ago. Not any one big thing, just the build up of all those little things. It’s the little things that really get ‘ya anyway, don’t they? My friend Ali calls it the coca-cola complex. You don’t fall apart when your loved one is in dire straights, in fact those are the times you’re somehow able to really keep it together. But you completely lose it when Chick-Fil-A doesn’t carry coca-cola. And all these strangers are wondering why you’re having a major melt-down when all they wanted were some waffle fries and polynesian sauce. That’s how it was for me. I went down the hall to get Kevin some fresh water. I have these saltwater sandals that I love, but they’re not easy to slip on and off. So I padded down the carpeted hallway in bare feet, just making a quick trip to the water fountain. And halfway there, a nurse chastised me for being in bare feet on the filthy floor and that I’d be spreading germs if I didn’t have shoes on. I felt my face flush, made a hundred and eighty degree turn, and scurried back into our room, Kevin still waiting, feverish, for some ice water. At that exact moment, the social worker who I’d met exactly once (we’ve had four different social workers since we started here) walked in to check on me with that caring look on her face and the words, “and how are you doing?” I lost it. Completely lost it. And then there was this awkward moment where I’m standing there crying, she’s standing in front of me, we’re both thinking, “do I hug?” And I didn’t want to hug this person I don’t know. I didn’t want to hug this person who had no idea what I was feeling, who only saw that I was crying because I had neglected to wear shoes outside of the hospital room. I wanted someone who knew me, someone who understood. But I didn’t have anyone except this social worker who was basically a stranger to me. So again, I took a deep breath, pulled it together, and listened to her ever so helpful and innovative advice that I “really need to take care of myself first.” I politely thanked her and let her slip out of the room to check our name off her list of people she’d helped that day. The thing is, she’s probably a great social worker. She probably understands the psychological impact of hospital life on patients and caregivers more than I ever will. Heck, I’m sure there’s a course on it or a symposium or something that she’s attended, or maybe even spoken at. But the reality is that I barely understand what I’m going through, and it feels like every minute it’s something different. Sometimes I feel like crying, sometimes I’m mad. Sometimes anxiety hits me seemingly out of nowhere and my chest tightens, I feel my face flush, shortness of breath, and even more fatigue washes over me. Add to that that Kevin barely understands what he’s going through. Every minute there’s something different for him, nausea, fatigue, fevers, chills, good fevers, bad fevers, worries about infection, it’s good to take a nap, don’t sleep too much or you’ll get bed sores, get out of the room, stay in the room, nearly every data input we have from every side is constantly changing. And it’s really f-ing exhausting. So after “sort of” losing it, I took another deep breath and turned inward. There was nowhere else to turn, nothing on the outside made any sense, with constant changes and contradictions. And as I turned inward, I closed my eyes, and said, “Lord, I can’t do this. I absolutely can not do this anymore.” And He said, “I know, my child. You can’t. You never could. So let me do it.” And then I cried. 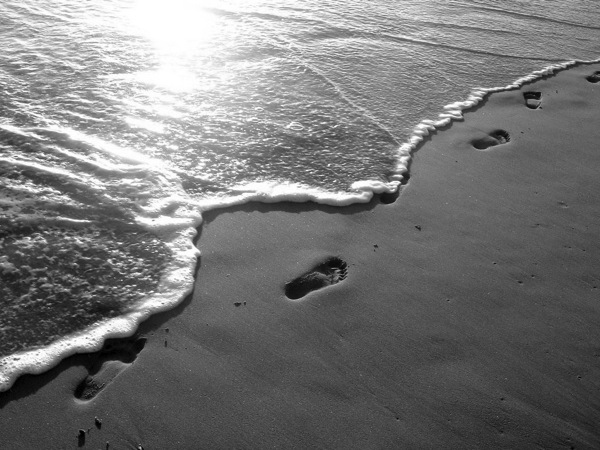 I know we’ve all read that Footprints in the Sand poem a million times and it can seem trite because we’ve seen it so often. But it truly is such a powerful reminder that our Father cares for us and carries us more than we can ever imagine in our little human brains. That afternoon, a package arrived from a dear friend and in it was, you guessed it, a beautiful poster of the Footprints poem. I don’t believe in coincidences anymore. you, you’d walk with me all the way. I so so wish I could be there to hold you in my arms. A good hug does help. Imagine me there, holding you tight. I love you. I wish I was there to give you a hug and pray for your husband. Know we are giving virtual hugs right now to you. Blessings. Rachel… thinking of you today. I can’t even imagine what you are going through. Sending you warmth, love and prayers.